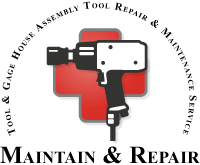 Extend the life of your tools with proper service. Ask your salesperson about Tool & Gage House’s Tool Repair and Maintenance Service. Bring your current tools back from the parts bin or extend the life of your tools. Learn More About TGH's Service and Repair.